April 24, 2012. 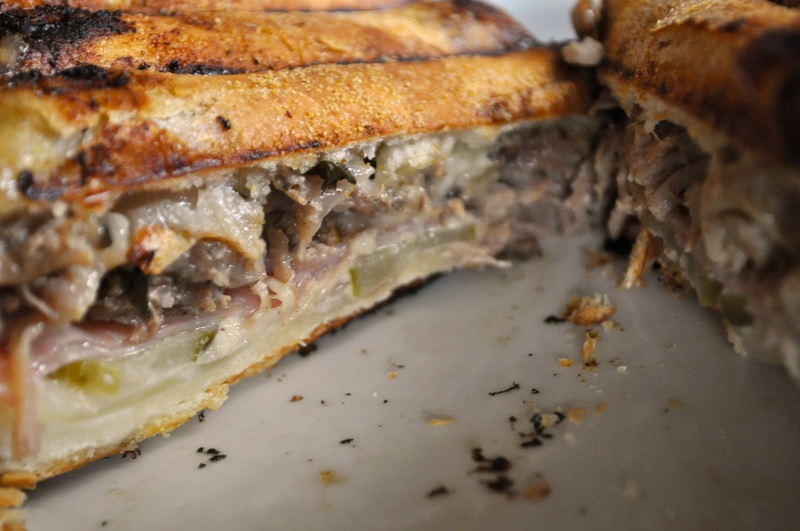 One of the best Cuban sandwiches ever! I made the pan de cubano, roast pork, and Curt constructed the sandwich with additional ham, pickle, Swiss cheese, and pressed it in our grill pan with a pan lid. A place in our neighborhood claimed to have the “best Cuban sandwiches” – but since they’ve gone out of business, we have to make our own.